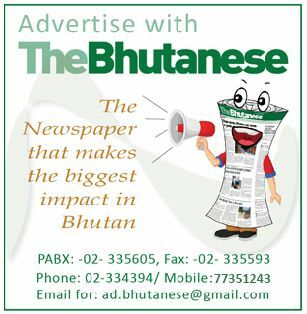 P’AVA rates have been used to exploit the people of Bhutan. So it is painful that when it suits the PM and his government they can reward some people with excellent rates of compensation. Given the facts of the story there is only one way out for the PM, to resign -pure and simple. The Prime Minister has been involved in so many corruption cases like Gyelpozhing, Trowa Theater, Bhutan Post buses, Education City and now Denchi. We respect JYT, but does it mean that the people involved in the land scam should be left without any action whilst those involved in other cases like Gelephu, Army welfare Project, Samtse mining were all jailed. Not one citizen in the country will be satisfied if these people engaged in the land scams are left without taking adequate action against them. These people have taken law in their hands, they thought- they can do whatever they like. For your information- I am neither the supporter of PDP nor the DPT, but as a citizen of this beautiful nation, it is my responsibility to engage in this fruitful debate and point out if they are respecting the law of the land. This is what it will happen if the Cabinet and ruling government is given the Kidu power or get involved in the business of NLC. I hope the people who lost huge amount of land to government projects elsewhere will also get the generous revision rates, like the people in Denchi. No favoritism should be applied. People in other constituencies are bound to question such nepotistic moves by the government. The people are not dumb, we hear things that are not even printed on this paper. By early Monday, all may line up in front of His Majesty’s Chamber for forgiveness and Kasho not to be charged for this case? Banks have been recklessly lending to the real estate sector. There are some who have taken Nu 100-600 million ngultrum loans to finance their land cruisers/prados/hiluxes (buildings). I see the bubble has burst and there will be many who will suffer as a consequence of using other people’s money. Firstly Banks are to blame and secondly the borrowers who have borrowed recklessly and driven the prices of land artificially sky high. The herd mentality is also driving the prices down now. The reality lies somewhere in the middle, the equilibrium point in economics and Buddhism is a point to be noted.